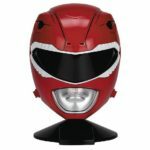 For our fellow Power Rangers fans in Germany, great news! 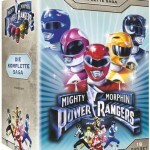 On March 22nd for the cost of 59.99 Euro, you can have your very own complete boxed set series of the entire run of Mighty Morphin Power Rangers across 19 individual DVDs! A quick glance at the extra features seem to mirror those from Shout Factory!’s release last year in the United States. You can get a bit more information from the Amazon Germany product placement page, which can be found by clicking here.